A smart storage system can help you stay organized. 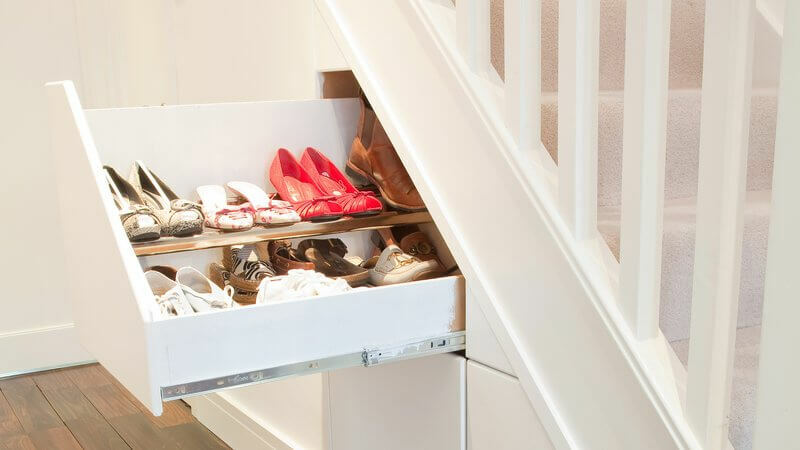 Each person has his or her routine in the morning and we can design a storage system customized to your lifestyle and preferences. LJ’s works with you to understand your routine and how your surroundings could be improved to make getting ready for the day easier. We can create cabinets where you can neatly store your shirts so they don’t get wrinkled and we can incorporate a shoe rack so that you always know where a shoe’s mate is. No more reaching for whatever is on the floor to wear!